This is the perfect dress for the left-of-center romantic. 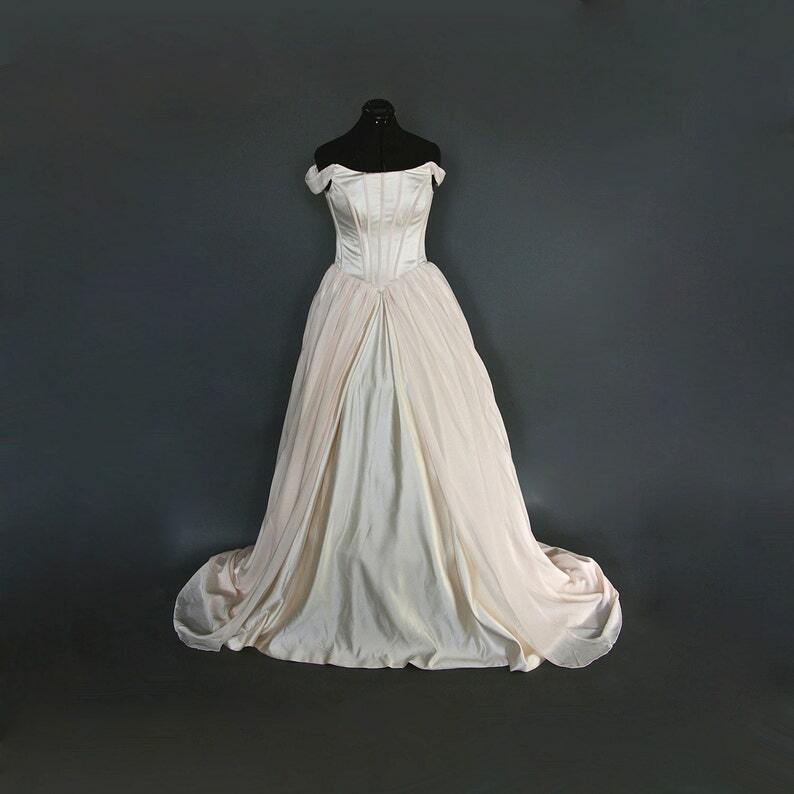 The dress features a corset style bodice made of rich champagne satin. It has dusty pink detailed light boning detail and laces in the back. The bodice has bands of dusty pink chiffon that drape off the shoulder. The skirt is a champagne satin with a split overlay of a dusty pink chiffon and a full train. Please note the dress is pictured with a hooped petticoat for fullness. This sample gown is available to ship now in a size 8-12. It can also be custom made according to your measurements. Please contact me if you are interested in a custom version of this dress.